The HP Pavilion X360 14 series of laptops come with a 14-inch ‘Micro-edge’ display and the company is also offering Back to Campus offers worth Rs 34,098 with the device. HP has refreshed its X360 14 series of laptops in India, which now come equipped with the latest 8th Gen Intel Core processors and a pen for students and creative professionals. The line-up starts at Rs 50,347 and is also a part of the company’s back to college range of devices. Thus, the company is offering deals worth more than Rs 34,000 with the laptop, which are said to cover security, device warranty and damage protection. 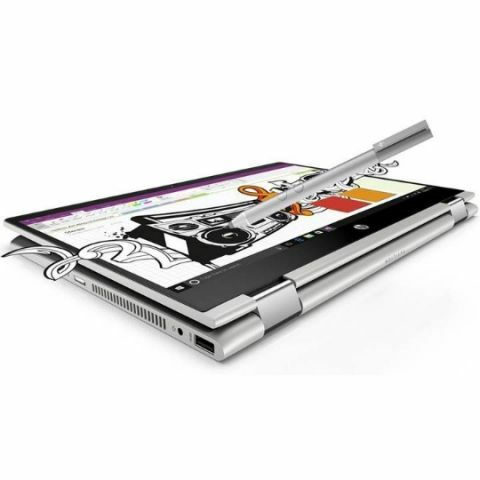 The convertible laptop features a 14-inch 'Micro-edge' bezel full HD display and there are touchscreen variants of the device as well. It is equipped with a 5MP ‘World Facing’ camera, which has a 120-degree wide-angle viewing lens. The Core i5 and Core i7 variants of the laptop are equipped with Intel Optane memory options. The company says that due to Intel Optane technology, the HP Pavilion x360 14 laptops are capable of delivering overall system improvement of 28 percent, can open large media projects 4.1 times faster and launch emails 5.8 times faster. “The new range of HP Pavilion x360 upholds our philosophy of customer-centric innovation, fulfilling the myriad requirements of users. The refreshed features in the new Pavilion x360 will cater to the professional and personal needs of the students as they begin their new year in college. We hope our Back to Campus initiative will make our products more easily available to the new students,” says Vickram Bedi, Senior Director, Personal Systems, HP Inc. India. The laptop also sports a fingerprint sensor for biometric unlock and features speakers with 3D geometric facets with grills that are said to deliver better audio. It weighs around 1.68 Kg and is said to deliver up to 11 hours of battery backup on a single charge. It supports HP Fast Charge technology as well.